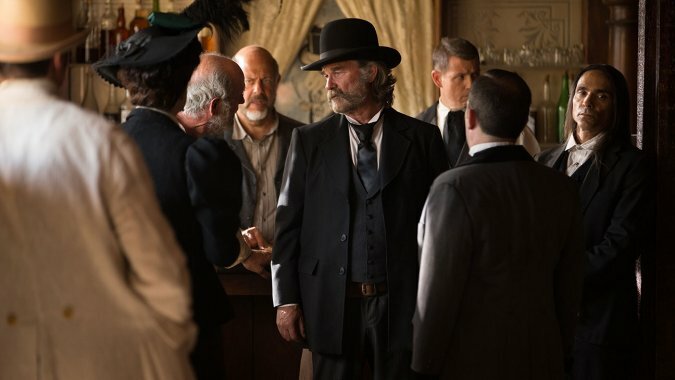 I collaborated with writer/ director S. Craig Zahler to compose the soundtrack for his film, Bone Tomahawk, starring Kurt Russell, Patrick Wilson, Richard Jenkins, and Matthew Fox, released by RLJ and produced by Caliber Media. The film opened nationally and through VOD on October 23, 2015, after premiering at several film festivals throughout the month. The film was nominated for a couple of Independent Spirit Awards, including best screenplay and best supporting actor for Richard Jenkins. The soundtrack for Bone Tomahawk is available on vinyl through Invada and digitally through Lakeshore Records.